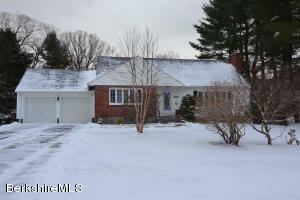 OPEN HOUSE Thursday April 4th, 4:30pm-6:00pmSplit level home. Well maintained, move in ready. 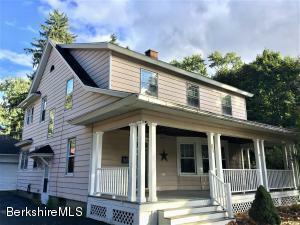 Home boasts, new heating system, floors recently refinished, roof 2011, replacement windows 2010, deck overlooking huge back yard on a quiet dead end street. This home is a must see! You will love this adorable cape in a friendly neighborhood setting! Fenced yard, in - ground pool, sun room overlooks deck and yard. Roof, windows and boiler updated.Natural gas heat, town water & sewer. There is a detached two car garage. Why rent when your first home awaits you? Easy access to shopping, restaurants, town center and schools. Enjoy easy living in this lovely home in fantastic Lee location! This spotless and well built Fox home has been beautifully maintained and it shows! Superbly located in one of Lee's most desired areas, this home is in move-in condition and features a bright, open concept floor plan in the living area, breakfast bar, remodeled bathroom, 3 bedrooms, stainless appliances, easy to maintain laminate flooring and a huge walk out lower level bonus room. A huge deck, accessed by a sliding glass door and a sunny, flat back yard further enhance this homes appeal. Perfect for starting out, winding down and a whole host of situations in the middle. Everything you want in a home! *Square footage does not include the 656 finished square feet in lower level. 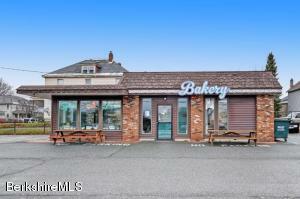 Looking for commercial property?! 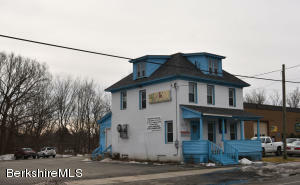 Now is a GREAT OPPORTUNITY to own a modern warehouse close to downtown and Mass MoCA. 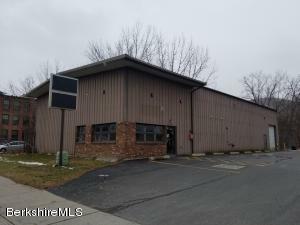 Warehouse boasts over 4,950 square feet on approximately .34 acres of land. 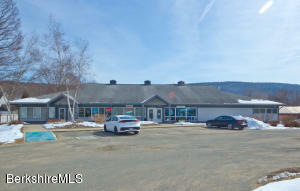 The building offers front showroom or retail space and large open rear space. LArge drive in door. Small fenced rear yard. 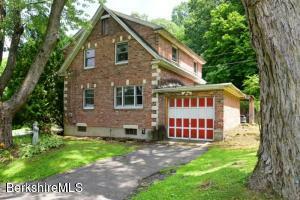 Well maintained older style home retaining much of its original charm and detail. 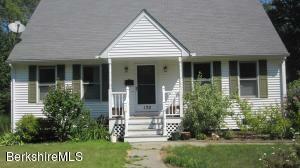 Located in a very quiet neighborhood, just sitting on the rocking chair porch gives you the relaxation of yesteryear. Along with four good sized bedrooms, this home boasts of hardwood floors, built in cabinets, a beautiful fireplace, bookcases and a bow window that overlooks the neighborhood. Definitely a beautiful and spacious place to raise your family, entertain guests or seek out your own privacy. 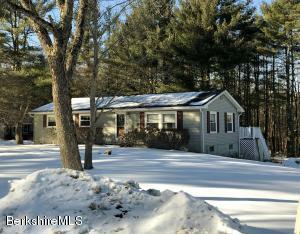 Wonderful 2-Story Cape w/Spectacular Pontoosuc Lake Views, Steps Away from Deeded Lake Rights, Launch your Canoe or Kayak Directly Across the Street, 2 BR, 1 1/2 Baths, 1,183 sq. 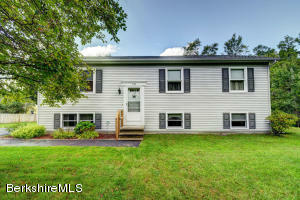 feet, Newly Renovated Family Room/Mudroom w/Woodstove, Spacious .29 Acre Corner Lot, Converted from Oil to Natural Gas Heat 2018, New HW Tank 2018, Vinyl Siding, Vinyl Windows, Large Corner Lot, Fenced Yard for Family Fun & Entertaining, 2 Car Garage w/Workbench and Plenty of Storage Above, Perfect Family Home or Vacation Getaway!!! Lovingly cared for home with more privacy than you can imagine, on a large lot, with many updates. 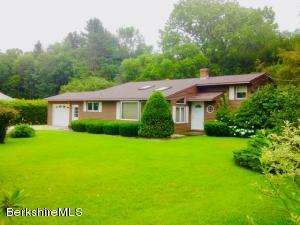 wood floors, gas fireplace, above ground pool, large family room, 3 outbuildings, and gazebo. This property backs up to a large City Park. 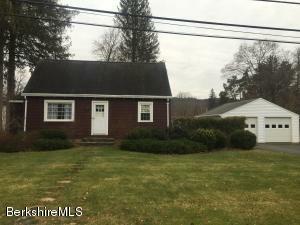 Seller is offering a free move from All-Ways Moving to the Buyers from within Berkshire County if they come to a successful closing on this specific property. Wonderful Lee Location!!! Desirable Neighborhood on a Cul-de-sac, 1 Mile to Downtown Lee, Well Maintained, Spacious Ranch on .68 Private Acres, 3 BR, 2 Baths, 2 Bonus Rooms in Walk-Out Basement, Natural Gas Heat, Vinyl Windows, Newer Improvements Include, Updated Kitchen, Bath, Updated Back Deck, Added Family Room/Playroom/Bar in Basement, Vinyl Siding, Gutters, 2008 Roof/Additional Rafters Added for Support/Plywood/Shingles, New Slider to Deck, HW Tank, Added HW Flooring in Living Room, Bedrooms and Hall, Additional 525 sq. ft. in Basement, 2 Rooms w/Electric Heat, Family Room/Playroom/Bar and Bright & Sunny Studio/Office Space. 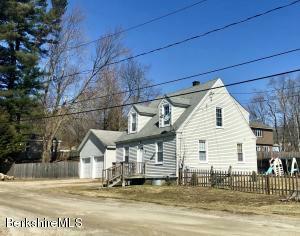 Immaculate, over sized Cape on one of Pittsfield's most desired streets. 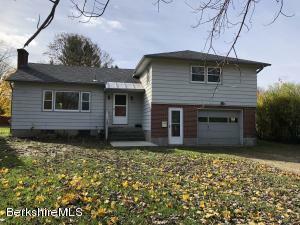 This home features hardwood floors throughout, beautiful built ins surrounding the living room fireplace and a fully heated sun room over looking a private yard. There is a large den on the first floor with its own gas fireplace and sliders onto the deck. A large bedroom, full bath and laundry all on the first floor. One side of the basement is finished and the other half could be a great workshop/ artist studio space. 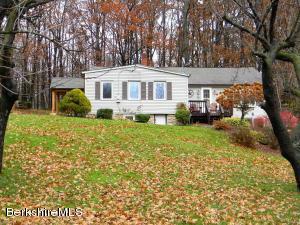 The half acre yard is a magical paradise with it's mature landscaping, small brook and large deck over looking it all. This home is a must see! 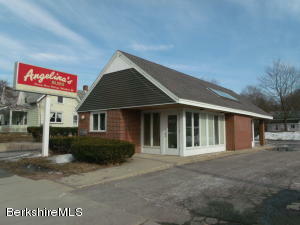 Excellent opportunity to purchase a restaurant w/ a proven track record and over 30 years of success. World renown reputation for their excellent food, quaint old school atmosphere, and quality service. 5 Star reviews on YELP.com speak for themselves. 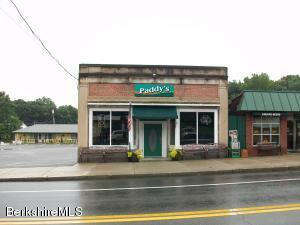 With a traffic count of 11,986 (corner of Newell & East (2017 data)) per day and a clientele that comes back time after time, this is a great opportunity for the chef that would like to operate his/her own establishment w/ a proven system and goodwill already in place. This unique business model and menu can be seamlessly transitioned to a new owner. With over $75,000 of FF&E, new bathrooms, roof, and HVAC system, this restaurant is ready to go. Restaurant has active Beer and wine license. Seating Capacity 45. Turnkey opportunity. 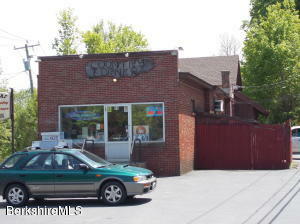 Convenience / Package Store. 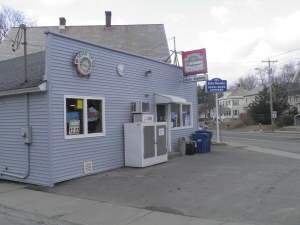 Located on route 2 at the intersection of 5 corners. Strong Financials.